I like my first review this year to be from a local brand. Human Nature is a trusted Filipino brand. 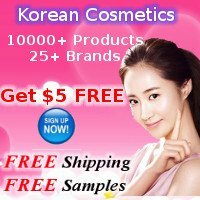 They have products for skin, body, home and pet care as well as food. I got this as a gift. I wasn’t a fan of balms before so it was just on my cosmetics counter. I didn’t notice it until the recent holiday. I’m using it almost daily and it’s in my makeup bag now! You can tell that I got hooked. It comes in three shades; Flame Tree, Pink Orchid and Island Kiss. By the way, I got the old packaging. The new one is in a white tube. Swipe on a moisturizing sheer tint for quick fixes on the go. Get fab in seconds: no mirror needed! This blend of cocoa butter, beeswax and all-natural plant oils keeps your lips soft and moisturized through the day. I like that this shade is so close to my natural lip color. My lips are pale most of the time but it brings back life and color. The peppermint in it gives cooling effect that lasts for a few minutes. It’s moisturizing and smoothening. It doesn’t settle in creases. The tint doesn’t last long when I eat and drink but the moisture stays on. I’m glad that this doesn’t have petroleum jelly. I’m avoiding lip balms that contain petroleum jelly. Yeah sure, PJ gives you that temporary moisturized feeling but it can actually dry out skin with prolonged use. The swatch was taken under natural lighting. I layered it three times to match my lip color. It has a subtle shine. You’ll see tiny glitters in the tube but it’s not noticeable anymore once applied. I don’t mind reapplying since I like the cool feeling it gives. I still like the old packaging better because black is my favorite color. Haha! Overall, I really like this. It makes my lips look healthier and plumper. In fact, I’m going to buy Flame Tree next time which is the darkest one. They’re offering this in 10 + 1 bundle during the holidays. It means it’s a great gift idea and/or a stocking stuffer. Although I’ve only tried a few of HHN products, I’m really proud of this homegrown brand. They’re making high quality yet affordable products. Hello readers. I’m here to do a recap of my favorites last year. I selected these because I reach for them the most out of all the products. They’re divided into categories; skin care, lip care and fragrance. My most favorite in this list. I’m using this for my topical steroid withdrawal. It instantly gives itch relief and protects the skin from external harm. A 30 gram tube of this is only 170 pesos. Available locally at the drugstores. My first review on this didn’t turn out well when my skin was still oily. But now I have dry skin and works well. It doesn’t cause breakouts anymore and no irritation. It has 3 kinds of ceramides that can aid in strengthening skin’s barrier. The only downside is it’s not in-stores yet. It has to be ordered online. I used this as moisturizer when I posted my full review. But I found a better use for it as makeup remover. Since my skin is flakey, I can’t use cleansing tissues anymore. This oil dissolves my makeup in a few circular motions. It works better for oil-based makeup than water-based. It can’t be washed of with water alone so I follow up with CeraVe soap. I splash my face with water and then add a little bit of water to the lather. Sunflower oil has comedogenic rating of 2 but it doesn’t break me out. This was my makeup remover before my TSW. The sheets are wet enough to breakdown my makeup. I’m a full coverage girl so I use liquid foundation, concealer and powder foundation. 2 sheets are enough to completely remove them. We choose fragrance-free products as much as possible. A pack of 50 sheets is 75 pesos. Make sure to reseal it properly to avoid it from getting dry. I really liked this sunblock because it’s long lasting. It stays on the skin even if I sweat a lot. There’s only a minimal flashback for photography. There’s a ball mixer inside which makes shaking the product a lot faster. The oil doesn’t separate unlike with other sunblocks. It’s good for sweaty skin. It mattifies and makes skin look fresh. This has a strong fragrance though. Now this sunblock is for everyday use. It feels light on the skin and gives hydration. Great for warm weather because of it’s lotion-y texture. It’s fragrance-free. It doesn’t stay on for long but that’s okay if you’re just in an air-conditioned place. I wasn’t a fan of lib balms before. But this one form Human Nature got me hooked. It gives a subtle tint. Pink Orchid is close to my natural lip color. It has a little bit of shimmer but it’s not bothersome. The peppermint in it gives a cooling effect on the lips. It’s locally made plus it’s very affordable. This came in the mail just in time for the holidays. It has a light floral scent. I used this a lot during our gatherings. It smells sophisticated. I can see myself choosing this scent for formal events too. The packaging is sturdy and sprays evenly. This is a great gift for your best friend. I’m back on exploring local brands again. Recently, I had a bad flare up of rashes again so I needed to “protect” those areas. We bought Human Nature’s bestseller last month. I was hoping it could at least lessen the redness and itching caused by rashes. It’s my first sunflower oil so I won’t be able to compare it with other brands. I tried using this to remove my makeup first. It really did melt all my heavy makeup. After cleansing, I used it as moisturizer for flaky areas. It smoothened those areas. I like that it gives a subtle glow too! I can definitely see it even under my makeup. I also noticed that my blemishes dry and heal quicker than usual. It did not cause breakouts even on my oily t-zone. While there was no improvement on redness, it did reduce the itch and provided comfort while I had rashes caused by dermatitis. It’s quickly absorbed if you press it down lightly with your palms or by gently sweeping on the skin. If you’re in a hurry, just dab at tissue and proceed to your makeup routine. Your tissue paper should be organic or at least unbleached if you have hypersensitive skin like me. Just putting it out there. The only down side is the packaging. It’s not travel friendly. From my past experience with other products, oils are easily spilled out from a pump bottle. Spillage will be avoided if oils are in amber glass bottles with droppers. It’s now a factor for my next purchase. I’m neutral about its heaviness. In my opinion it’s ideal as night treatment since we’re living in a country that’s hot and humid (& messed up. lol). But you can also use this during the day if you’re just in an air-conditioned place. Your activities like commuting and exercising should also be factors on your skin care decision-making. Overall, using this turned out pretty well although it’s not a cure-all for dermatitis. Dermatitis is also linked in the body’s health so don’t just rely on topical treatments. The only thing that I want was to reduce the itch and it delivered. It’s multifunctional and one of the most affordable oils out there. I was a bit hesitant because sunflower oil has high comedogenic rating, meaning it has a high chance of blocking pores. Each skin is unique so trying out products is always a trial and error. But if you never try, you’ll never know~ Yes, that’s a Coldplay reference. I went to a department store last month and found Human Heart Nature’s shelf. I heard a lot of good things about this local brand. I’ve also visited their website many times just to see what I will try in the future. I’m looking for a good cleanser that wont cause rashes. I’m not even concerned about blemishes anymore. I read reviews about their Nourishing Facial Wash. Good thing there’s a small size available. Care for your delicate skin without the sting – with tomato extract and mild moisturizers that help soothe skin and keep it soft, supple and healthy inside and out. It’s very affordable and accessible. I bought it in Landmark Makati. It has a gel consistency. Its lather is enough to clean the skin. It doesn’t foam up unlike other cleansers. I did not notice any film or slimy texture after rinsing. My skin felt really fresh every time. I like to use it especially after my workout. This has a powder scent. I prefer that scent on my clothes instead. I like to add water while lathering it to dilute its concentration. I thought doing that would lessen its strength but after a few days, my whole face was itchy. Fragrance is not the last ingredient so that’s why or it could be the Sodium Lactate, Farnesol and Linalool. These ingredients have a safety rating of 4 on CosDNA. Safety rating should be 1 or 2 to be considered safe/unlikely to cause irritation. If this wasn’t the culprit of my rashes, I’d definitely want to use it again. I was confident to try it because it’s natural. Lesson learned, natural isn’t always good in skin care and chemical-based ingredients are not always bad. At first, I didnt like it but I fell in love with it when I saw the effects on my skin. I made a list of products from different brands which are accessible. They are available at shopping malls. You don’t have to order them online. Please take note, not all tea tree oil products are the same. They differ depending on the other ingredients included. Ingredients: Aqua (Solvent/Diluent), Alcohol Denat. 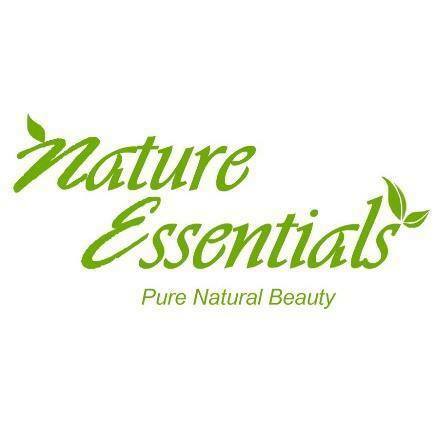 (Solvent/Diluent), PEG-40 Hydrogenated Castor Oil (Emulsifier), Polysorbate 20 (Emulsifier), Melaleuca Alternifolia Leaf Oil (Natural Additive), Limonene (Natural Additive), t-Butyl Alcohol (Denaturant), Calophyllum Inophyllum Seed Oil (Skin Conditioning Agent), Citral (Natural Additive), Leptospermum Petersonii Oil (Natural Additive), Denatonium Benzoate (Denaturant), Tocopherol (Antioxidant). This is a soap but in jelly form. It’s a fun gift for kids and for kids at heart. Santa’s Belly is a Christmas edition. It has apple scent and glitters in it. Also available in the regular line; Whoosh, Needles and Pines, 93,000 Miles, Refresher. For Halloween and Christmas limited edition; Nightwing, Santa’s Belly and Snowman Jelly. Priced at 245 pesos each for 100g. “Pamper your world with with this intensely creamy, and indulgent bath and shower cream. Love your skin and give it a real treat.” This bath and shower range from Potter and Moore will definitely last long. Each bottle contains 500ml. Available in Coconut & Honey, Lime & Grapefruit, Mango & Papaya, Raspberry & Pomegranate, Vanilla & Macadamia. You can get these at all Beauty Bar branches and online. If you do not want to worry about packagings/gift wraps, this one’s for you. This set of 3 soaps come in a crate which is eye catching. You can choose your own soaps from their range; French Lavender, Olive Leaf, Olive Oil, Shea Butter, Aloe Vera, Banana Soap, Goat Milk, Charcoal, Oatmeal & Honey, Chamomile, Beeswax, Eve’s Garden, Tea Tree and many more. 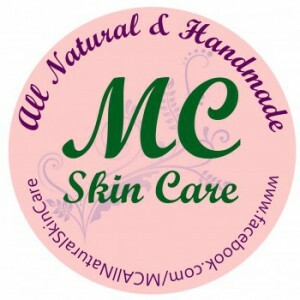 Click here to view their soaps. You also dont need to worry about wrapping this because it comes in a box. This set has 60ml shower gel and shower cream or lotion depending on the scent you choose. Available in Argan, Fuji Green Tea, Honeymania, Moringa, Olive, Satsuma, Shea and Strawberry. Click here for more info. Gifts under Php200 – CLICK HERE! Food/Drink gifts under Php 500 ($10) – CLICK HERE! Gender-Neutral Gifts for Php1000 ($20) & Below – CLICK HERE! Gender-Neutral gifts under Php 500 ($10) – CLICK HERE!